We shared mechanisms of tracing trial balance mistakes in our last post on the accounting stream. The next step obviously is correcting these errors. These type of errors simply need a journal entry to be passed. Whatever entry was missed out, has to be incorporated in the books of accounts. So if you missed a purchase, you debit the purchases account and credit the seller. Incorrect postings are reversed by way of journal entries. Where the totals of subsidiary books are incorrectly carried forward, the resultant error is a single sided error. The total will need to be correctly carried forward and re-totaling will have to be done in the primary books. Similar is the situation for errors of totaling. For hung entries in the ERP systems, the partially recorded entry will need to be deleted and a new entry passed. In manual accounts, a rectification journal entry will be needed. In case of computerized accounts, a re-classification of the ledger may just as well do the trick. 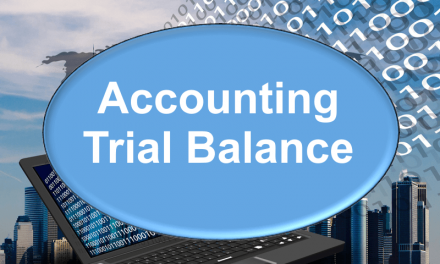 For periods which are already closed, it may need manual adjustments in the trial and the books of accounts. These are again mostly one-sided errors and would need treatment similar to the errors of commission. Whatever be the situation, it is always mandated that proper documentary evidence should be maintained for each correction made.